Quality Pre-Finished Hardwood Flooring Fast! Pre-finished floors arrive at the site ready for installation with a variety of factory applied urethane finishes. Industry statistics bear out that pre-finished floors not only cost less to install but last longer than the typical site-finished floor. In terms if ease of installation, the unfinished floor will require sanding. To discuss your choices, contact our Customer Care team. We are always ready to help clients make important decisions about their hardwood flooring solutions. If you want to browse our collection of easy-to-install pre-finished hardwood flooring or prefer delivery of site-finished hardwood, our team is happy to show our inventories and help you decide the best solution. At Hardwood Floors Forth Worth, we maintain one of the largest inventories of pre-finished hardwood floors in the southwest. We heartily recommend these floors for their ease of installation, durability and extended life span. Indeed, some of our pre-finished hardwood floor providers offer 100 year, transferrable warranties. Amazing! Consumers have two core choices for hardwood floors; pre-finished hardwood floors, also known as factory finished, or unfinished hardwood floors, also known as site-finished hardwood floors. While contractors sometimes opt for site-finished hardwood, only the most accomplished and experienced do-it-yourselfers may want to submit their flooring investment to an untested installer. If and when the floor ever needs re-finishing, the pre-finished floor can be re-sanded and re-sealed at that time. 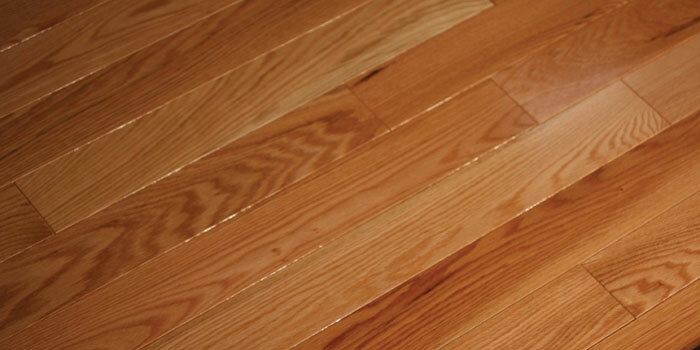 Pre-finished floors are available in most hardwoods as well as in a large array of urethane finishes and colors. If you are considering hardwood floors, isn’t it time you learned about all your options? All Hardwood Floors Fort Worth clients are informed, knowledgeable buyers. Stop by our showroom or contact our Customer Care team to learn more about the right hardwood floor for your home or business and budget. Let our expert Customer Care professionals walk you through the decision making process. Usually the biggest concerns are protecting and preserving the investment for the longest time and ensuring the quality of the floor increases the value of the residence or office. Today’s hardwood floors consumers have more choices than ever before. Be sure to make an informed buying decision. Visit our showroom for the information you need to make the best decision.